We live, it’s often said, in the age of memoir. And just this past Sunday, an example of living in the age of memoir in our church: whereas baptismal candidates at one time marked their desire for baptism by memorizing and assenting to a catechism, however formally or informally that might be presented, the five young adults who will be baptized in our congregation this Easter Sunday shared their life stories thus far, at least in relation to faith. And as they did so, they revealed the differences that individuals have, and the inspiration and insight we have come to expect when we listen to people’s stories. At another level, it’s clear that there’s plenty of room for critique, and for criticism too, in the notion of “age of memoir.” Even in describing it, there’s the implication of narcissism, the contagion of the me-generation, the focus on the individual at the expense of community (which in Anabaptist circles, at least, is not quite how it’s supposed to be) lying not that far under the surface. I’m in no mood for complaint or criticism, however. 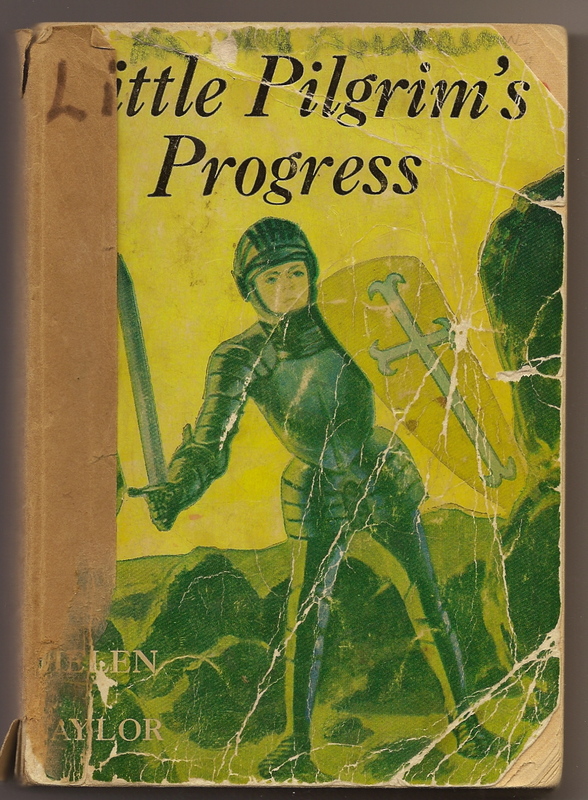 Beginning with the children’s version of Pilgrim’s Progress which fixed itself indelibly on my mind in my earliest childhood — and was, as far as I’m concerned, a first taste of “life-writing” (a term I prefer to memoir, as it encompasses biography, confession, memoir, journals, letters, autobiography) because of its journey motif, even if not strictly life-writing itself — I’ve been steadily shaped by the expressed experiences of other people. And I still haven’t had enough, frankly. Some of my interest is plain curiosity about others, but some is the quest for resonance with and wisdom from others which I need to live my own life. And I’m not sure that women in the particular categories I fit have been expressed nearly enough; I’m hungry for more of that too. So if it’s the age of memoir, I’m saying that I don’t mind at all. I just want to find the right pieces of it, and think about it properly. Which brings me to a blog site I often visit, a kind of one-stop beginning for lessons, guides, discussions, and reviews in the area of memoir: 100 Memoirs. (I love the witty subtitle: “because 99 just isn’t enough.”) Shirley Hershey Showalter hosts/writes the site. She’s a former president (1996-2004) of Goshen (Ind.) College and wants to read 100 memoirs on the way to writing her own memoir of growing up Mennonite in America, 1948-1966. She picked the name for her blog from Heather Seller’s advice to new writers, as she puts it in her opening post, “to read 100 excellent examples of their genre before attempting to enter the ring with the best.” If you’re interested in memoir, whether as a reader or writer, it’s a great place to learn and stay connected. This entry was posted in Books, Women's lives, Writing and tagged life writing, Pilgrim's Progress, Shirley Hershey Showalter, the age of memoir by doradueck. Bookmark the permalink. Thank you for sharing these insights. I dabble in the idea of personal memoir and have a lot of material to sift through. One of these days … Perhaps I should spend a little time on the site you recommend, reading some excellent examples. Go for it, Doug — personal memoir, I mean. You’ve got the ingredients of a compelling work — an “exotic” childhood, a life in publishing (so much drama in publishing! ), connections to a national story… plus you’re a great writer. I suspect the only thing missing is time? Dora, thanks for mentioning my blog! And I do encourage Doug–and everyone–to try writing memories and shaping them into stories. As you suggest, each of us has our own Pilgrim’s Progress.